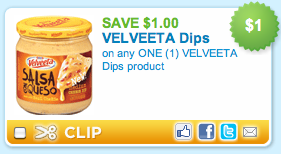 Print your $1 off any Velveeta Dips Product! YUMMY--- I'm a cheeseoholic !!! !